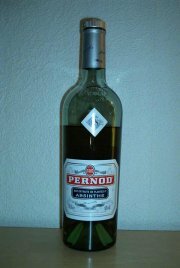 Pernod Fils' first absinthe with the Pernod name on the label since the French ban in 1915. They claim it's based on the original recipe and maybe the looked at it quickly and then decided to do something completely different. 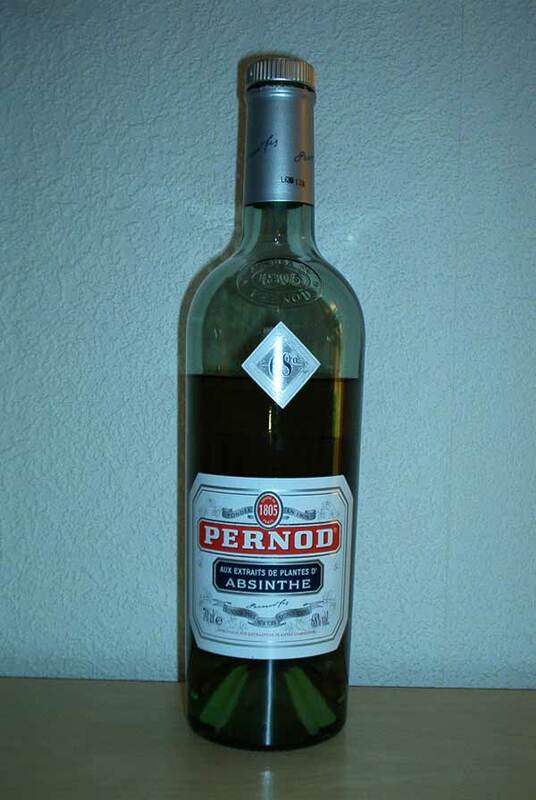 This is not even close to vintage Pernod absinthe. It's produced by Pernod, and that alone would state the obvious. This should be high quality. Sad to say, it is not. It's only a macerate and oil mix that falls right into the category of - nothing fancy really. Reading from the Swedish Pernod-Ricard web site, they say it is made according to the original Pernod Absinthe recipe. I know it is not. That said, on to the tasting. Even at its high alcohol content, it doesn't taste too much alcohol. It has a fairly good blend of bitterness, anise and of course, the alcohol. It is a bit hard to detect many other herbs, since it is not exactly done with any finesse. It has a nice light green, yellowish color, and gives a perfect light louche when water is added. By adding sugar the taste increases a whole lot and the bitterness smoothens and all the lacking complexity and floral character do come out a little. But only the slightest bit. Before I had tasted so many others, I enjoyed this one a lot. But with the brands available today, I don't drink it much. But, it's not all bad. I'd categorize it along with the Absente and the La Fée. Somewhere in the middle and way better than any czech swill.